Writers, poetesses, artists, travelers. Here are the places in Liguria which have attracted famous women of the past and the present. From the west to the east, some interesting suggestions. 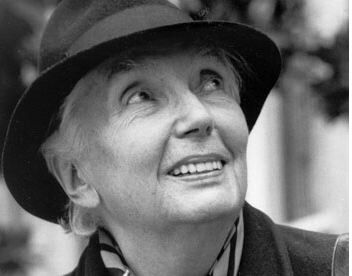 Lalla Romano (1906-2001), poetess, tireless journalist and writer, among the most important intellectual figures of Italy in the mid-1900s, chose Bordighera near the French border, not just for her vacations, but also to set, in part, her book On Vacation with a Good Samaritan, “In vacanza col buon Samaritano” (Einaudi, 1998). A continuous search back into her memory, with summer vacations in Bordighera and the past, focused on an ancient family story. Katherine Mansfield (1888-1932) born in New Zealand to a wealthy family, moved to London to study and escape the provincial environment of her native land. Her tales are told (mainly in English) in several collections. George Sand, the pen name of Amantine Aurore Lucile Dupin (Paris, 1804 – 1876), the very prolific French writer, author of many novels, romances, and plays, politically active in her time (though a moderated feminist), she is also remembered for her anti-conformist nature and for her affairs with the writer, Alfred de Musset, and Fryderyk Chopin, the composer. Vanessa Beecroft is one of the most interesting active contemporary artists on the international scene. She lives and works in New York, but was born in 1969 in Genoa, where she attended art high school, Liceo Artistico Barabino and the art academy, Accademia Ligustica. She returned to her native city in 2001 for the performance of “VB48”, a "tableau vivant" animated by 30 models in brown bathing suits in the Salone del Maggior Consiglio di Palazzo Ducale, where they move with solemnity, don’t look people in the eye, not looking to encounter anyone, closed unto themselves, ready just for the snap of the shot. French writer, Anne-Louise Germaine Necker, the Baroness of Staël-Holstein, better known as Madame de Staël (Paris, 1766 – 1817), spent most of her life traveling and writing, gathering cultural solicitations from her voyages and from the artists and intellectuals who she loved to welcome to her salon. Rosa Luxemburg (Zamość, 1870 or 1871 – Berlin, 1919) was a German revolutionary of Polish and Jewish origin. A politician and socialist theoretician, she joined the German Social-Democratic Party when its secretary was Karl Kautsky, considered the heir of Marx and Engels. Closely tied to him and his wife, Rosa Luxemburg wrote to Luise Kautsky a letter in which she presents the following delicious picture of Levanto and Sestri Levante. Levanto is a little nest which is little known in the rest of the world, (thank God). The town is nestled among soft Apennine hills covered by olives and pines in all the tones of green. Here there is peace and quiet, interrupted only once in a while by the tragic verse of a mule and the hot yells of the muleteers. As for the rest, just a couple of figures asleep at the entrance to a couple of shops on the main street, and children playing in the sand, and red and white cats that slink across the road from one hedge to another.